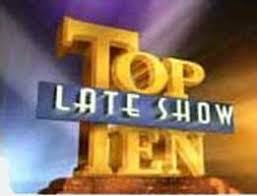 Lex Kuhne | 60 Second Blog: Is Letterman's Staff Reading Me? Is Letterman's Staff Reading Me? Might one of them be amongst the tens of readers I have? Unlikely, but it's nice to know that we think alike re: McCain. Sometimes Sarah calls John McCain "grandpa"